This talented pair have been playing English Acoustic Folk Music together since 1995. 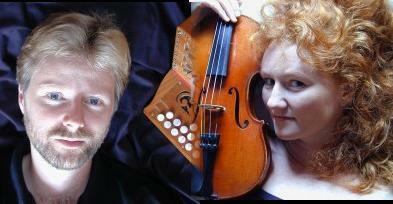 They both sing – in superb harmony – with Melodeon and Fiddle / Viola instrumentation. They choose their material with care and craft their arrangements with style and intuitive elegance, playing English and European dance music and drawing on some of the finest English folk song repertoire. Doug and Sarah have delighted folk clubs and festival audiences alike with knowledge of their material and relaxed humourous delivery.